The Nobel laureate said the members of the grouping should rely on each other and internal demand for their growth. 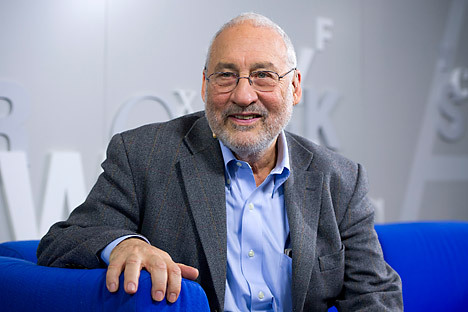 Nobel Prize winning economist Joseph Stiglitz praised the creation of the BRICS grouping by saying that the emerging countries had more resources to improve economic growth. The economist, who is also a professor at Columbia University, made the remarks while addressing a seminar on 'Global Financial Crisis: Implications for Developing Economies' organised by the United Nations ESCAP (Economic and Social Commission for Asia and the Pacific), according a PTI report. “The one good news is the BRICS pack,” Stiglitz was quoted as saying by PTI in a report carried by The Economic Times. “That is the one initiative that has come from the emerging markets....The BRICS, their GDP is today better than the advanced world, they have the resources to do it and the also there is a need (for them to grow),” Stiglitz said according to the report. Stiglitz said that the members of the grouping, Brazil, Russia, India, China and South Africa should rely on each other and internal demand for their growth to keep going as the world economy is not growing well, according to the report. ESCAP is the regional development arm of the United Nations and serves as the main economic and social development centre for the United Nations in Asia and the Pacific. The mandate of ESCAP is to foster cooperation between its 53 members and 9 associate members. The noted economist was sceptical of growth prospects in the West, while remaining optimistic on India. “Europe and America were the centre of Lehman Brothers collapse five years back,” he was quoted by PTI as saying. “People in Europe are celebrating the fact that next year the growth is likely to be positive. In India an average growth of 5-6 per cent shows that these economies are not performing well...The emerging countries cannot rely on the developed countries as a source of economic growth. They have to rely on each other and on internal demand,” Stiglitz said according to the report. The BRICS countries are working out the modalities for setting up a bank that would be an alternative to international monetary lending institutions. Last year, Stiglitz called the BRICS bank an idea whose time has come. The next BRICS summit is likely to held in July in Fortaleza in Brazil.